The stunning Diplomat Residence in Hollywood, Florida has a beautiful condo for sale. This masterpiece has three bedrooms and three and a half bathrooms generously laid out over three thousand square feet. 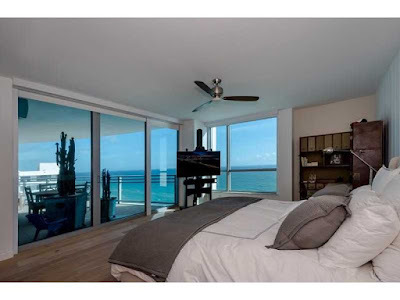 This unit is directly ocean front and has panoramic views of the beach and ocean. The main living areas have custom wood floors. The residence has its own private elevator. The chef's dream kitchen boasts an open design with a full suite of stainless steel appliances, decorative hood, gas range, sleek granite counter tops, and custom cabinetry. The bedrooms feature custom closets and powered window treatments. The unit comes with two parking spaces and valet. This is true resort style living. Residents of The Diplomat Residences have access to all the amenities that the guests on the adjoining hotel have as well. You can have twenty four hour seven days a week room service. There are seven restaurants on the grounds. The luxurious spa is just steps away. This is true world class resort living. The sparkling swimming pools are gorgeous. The building has a state of the art fitness center.